Did you know juniper berry essential oil is the oil of the night? Juniper berry aids those who fear darkness or a particular feature about themselves. Juniper berry gives support to people, to learn the lesson, and face their fear. Juniper berry helps bring back the balance between light and darkness. It acts as a guide on the road toward being whole. Juniper Berries are native to the northern part of the world and Europe. Juniper Berries were found in ancient Egyptian tombs, like in the tomb of Tutankhamun. Many believed that these berries might have migrated into Egypt from Greece. The Greek records have shown that Juniper Berries were used in medicine before it was discovered to be used in food. The berries were widely used in Olympic events because the Greeks believed that the berries could increase physical strength among athletes. The Western American Native Tribes have used these berries to suppress appetite in times of famine and hunger. On the other hand, Juniper Berries were initially intended for medications because of them being a diuretic and good remedy for arthritis and rheumatism. The Native Americans also have used the seeds of the berries for decoration and jewelry. The Swedes used the extracts from Juniper Berries as a topical medicine for the treatment of inflamed joints and wounds. 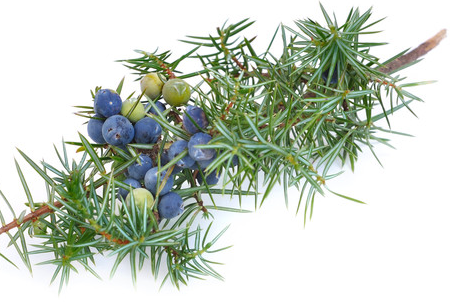 Juniper Berry essential oil has a rich history of traditional uses and therapeutic benefits. Juniper Berry acts as a natural cleansing agent, both internally and externally. Juniper Berry supports healthy kidney and urinary function, and is very beneficial to the skin. Its woody, spicy, yet fresh aroma, has a calming effect that helps relieve tension and stress. When diffused, Juniper Berry helps to cleanse and purify the air.